The PDS Self Service app on your iPad is your hub for school digital content – including apps, books, and web clips. 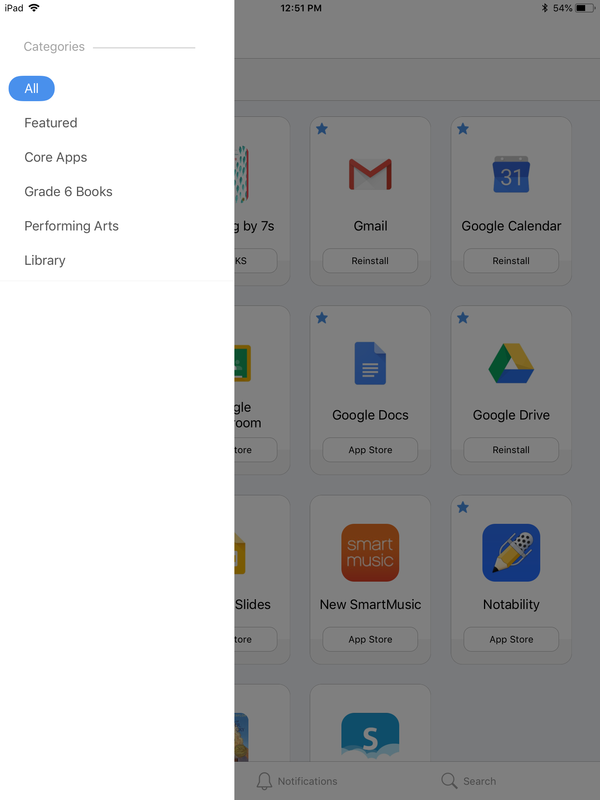 This app is automatically installed and configured upon successful enrollment on your school iPad. 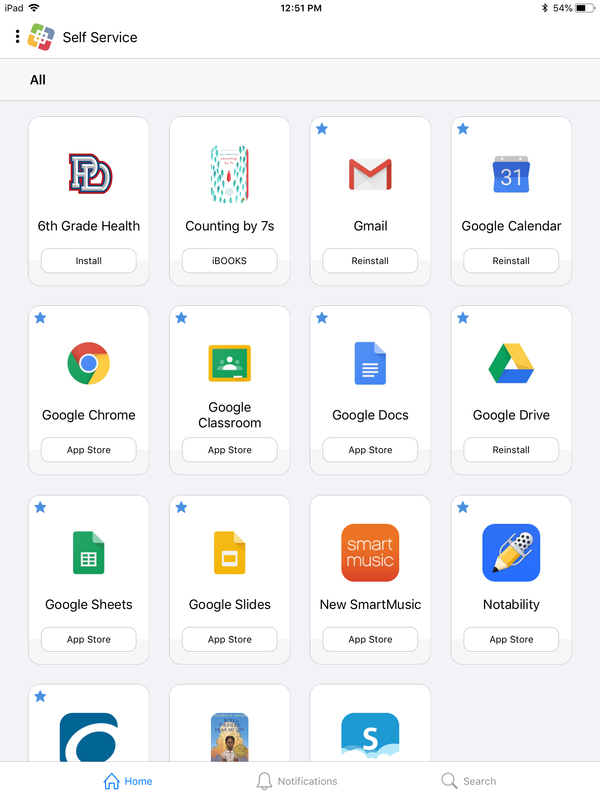 The main page of PDS Self Service shows a grid off all apps, books, and web content that are available to certain division and grades. If you tap on the menu on the upper left corner (three dots) next to the Self Service logo, you can filter the content down by category. Categories will be updated periodically to provide students and faculty with the most up to date resources.